If you’ve always wanted to get into the drone racing industry, then this drone might actually be a good choice. At only around $170 it promises some decent features and specs. It is small and good looking, at least in my opinion. The orange gives is an interesting look. 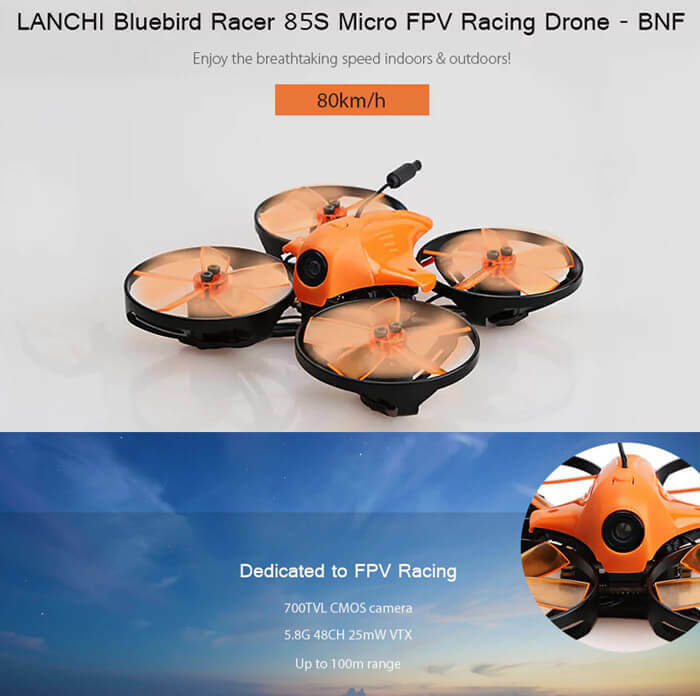 The LANCHI Bluebird Racer 85S Micro Racing Drone is a pretty high performance FPV drone. 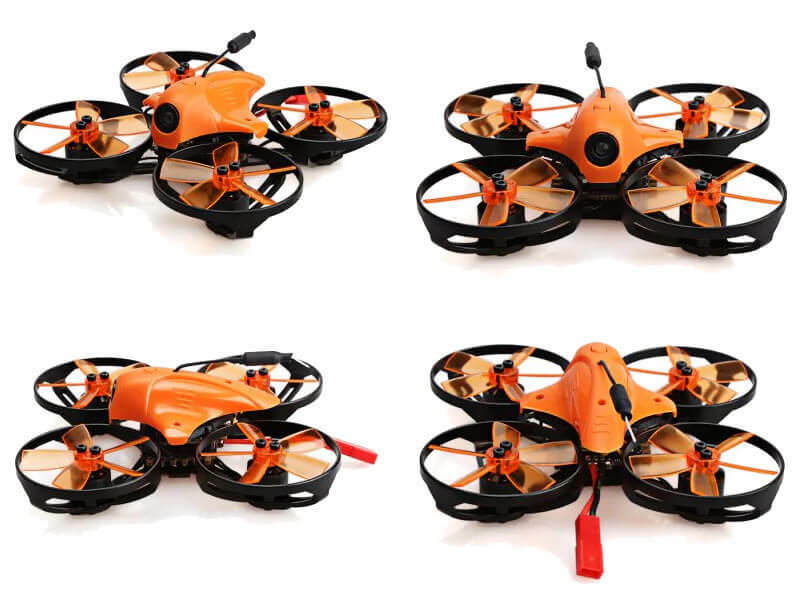 It is powered by the 1104 7500KV brushless motors and that allows it to at speed of up to 80 Km/h. 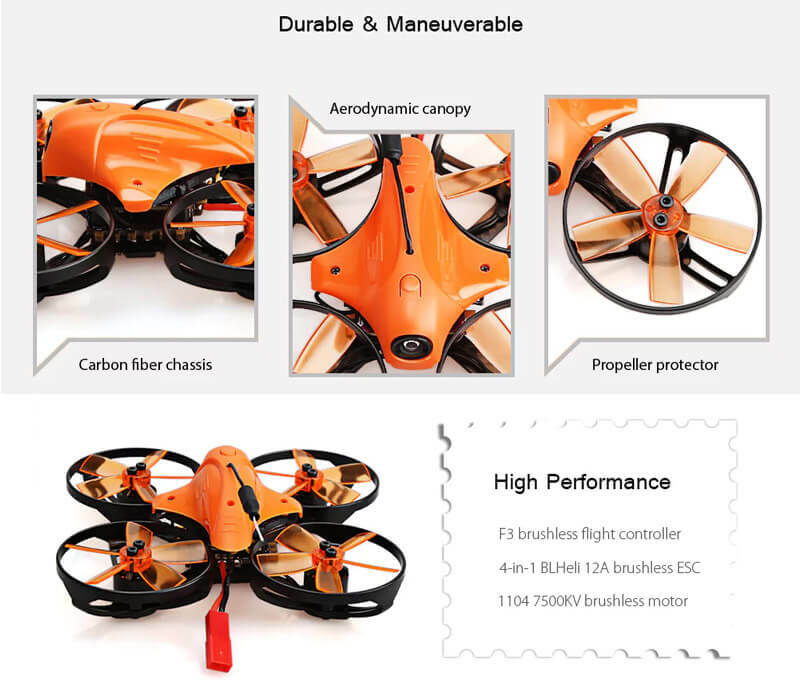 These are connected to a 4-in- 1 BLHeli 12A ESC and a F3 brushless flight controller. The control distance of the drone can vary a bit from 200-600m. Many factors can influence the distance. It depends on how many stuff there are between the transmitter and the drone, the wind and other transmitters. The video feed can transmit at a distance of up to 100m with the 5.8G 48CH 25mW video transmitter. The camera is a 700TVL and of course, the quality isn’t the best, but it is good enough for FPV racing. The Bluebird Racer has a 85mm wheelbase carbon fiber frame and it weighs only 65.9 grams. The battery makes it about heavier at 87.6g. 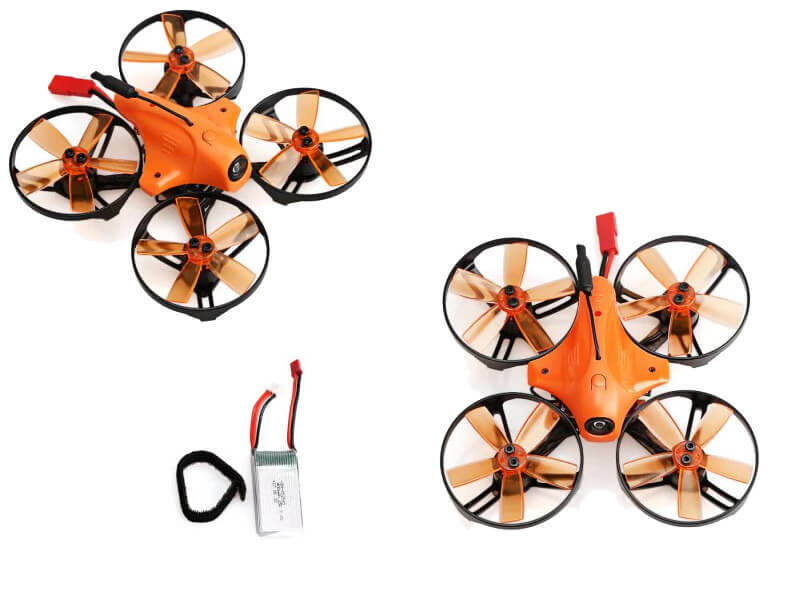 The battery is a 7.4V 400mAh 30C that will make it capable of flying about 5-6 minutes. Not much, but it is good enough for training and for a drone race. That’s why extra batteries are recommended here. As you can see, this is a pretty well balanced drone. For the low price, it might just be worth it. Especially if you’re on a tight budget and you always wanted to try some neat tricks with the drone and race with your friends.